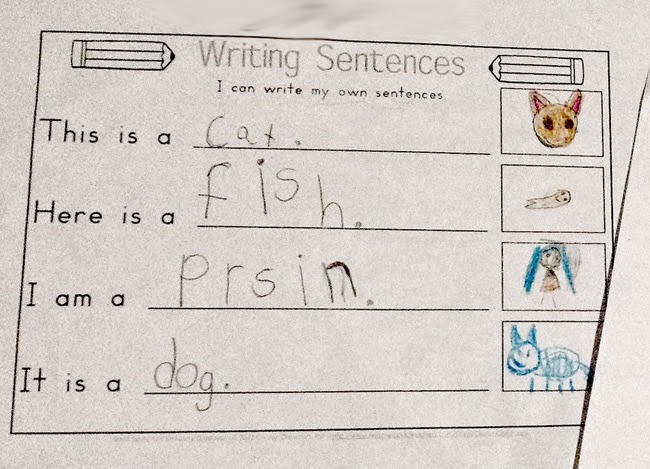 This week we practiced writing our own sentences using sentence starters. Way to go SK2! We started to learn how to subtract using subtraction strategies such as drawing pictures and counting fingers in order to write a subtraction sentence. We sang the song “Five Little Monkeys” and acted out subtraction problems while we listened to the song (ex: 5 little monkeys swinging in a tree, teasing Mr. Alligator, "Can't catch me!" Along came Mr. Alligator, quiet as can be and snapped 4 monkeys out of the tree). One student was the alligator and used his arms to "snap" the monkeys out of the tree. Then, we used a tree mat and monkey cut-outs to model the problems. 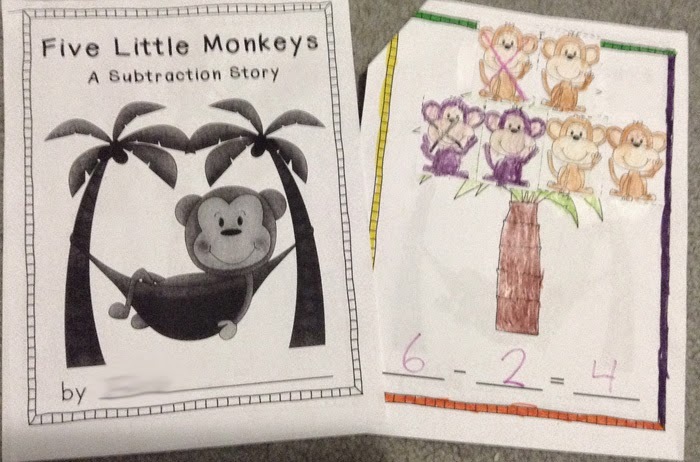 Finally, we coloured and pasted our monkeys on our own booklet and made a subtraction problem. 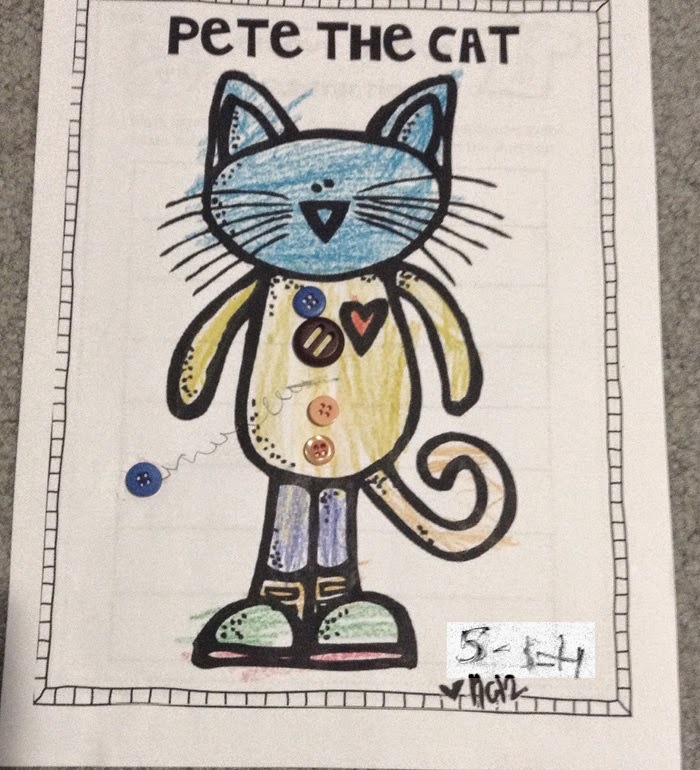 On Friday, we listened to our all time favourite "Pete the Cat and His Four Groovy Buttons" and then modeled subtraction problems using Pete the Cat work mats and some buttons. As we listened to the story about Pete losing his buttons, we modeled the problems and wrote the subtraction sentence. Sk2 enjoyed this hands-on activity a lot, Masha-Allah! We reviewed the fourth pillar of Islam, “The Zakah’ (Charity). We took turns to give ideas about types of food we can donate to Sadaqa Food Bank for the Food Drive. 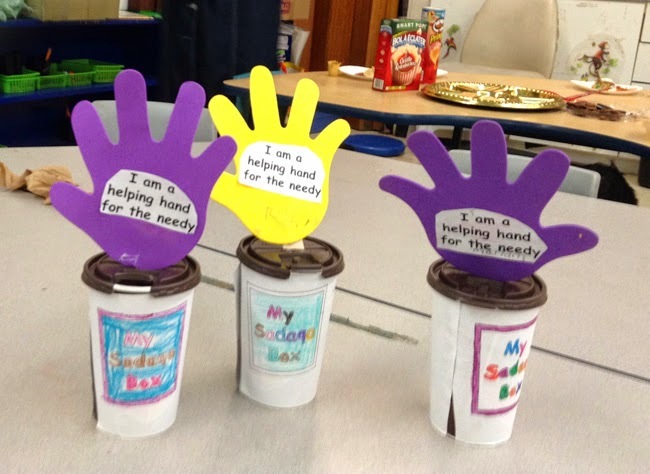 We made a donation box ”I am a helping hand for the needy”. Please encourage your child to collect money in their donation box on a regular basis in order to help the needy in the month of Ramadan and afterwards. This way they will get in a habit of collecting/ donating money for charity. Sk2 are doing a wonderful job presenting their 3D mosques, Masha-Allah! Alhamdo-lillah, Our class had collected 107 food items for the Sadaqah Food Bank. Jazak-Allahu khariun for everyone sending the food for the needy.